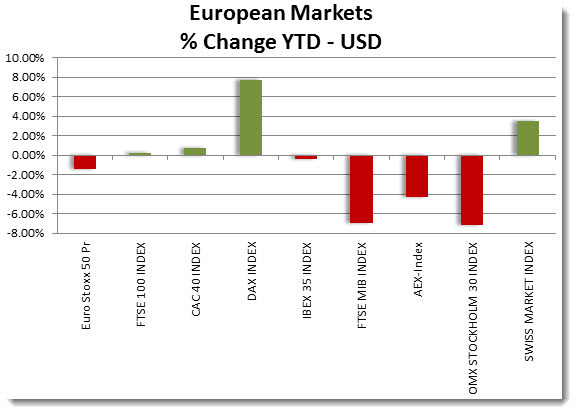 All of a sudden there is some fear back in the markets. Over the past year, there has been a great deal of spin put on the European crisis. Now investors are waking up to the fact that there really is a crisis developing. Sure enough there are many that are commenting today that the whole process was a sham. How is it possible that so few are deemed to be below the required capital ratios, unless the requirements are too low. 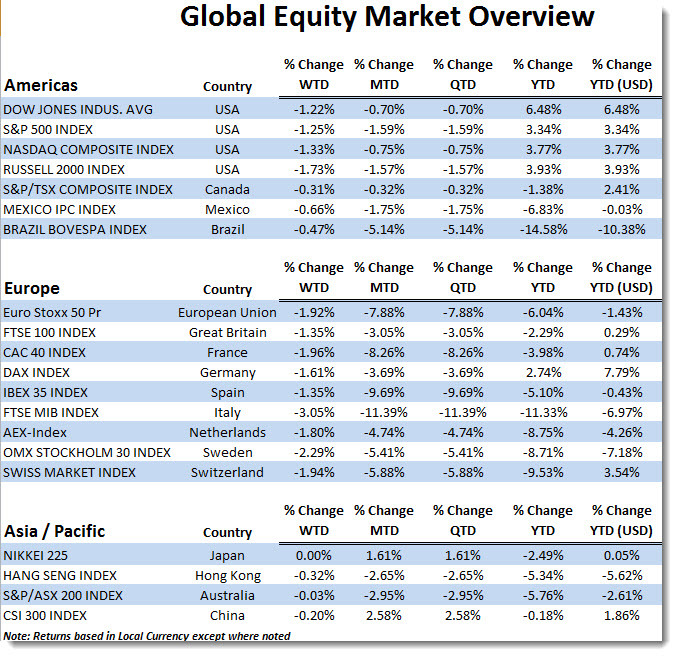 Markets are digesting the info and don’t like what they see. 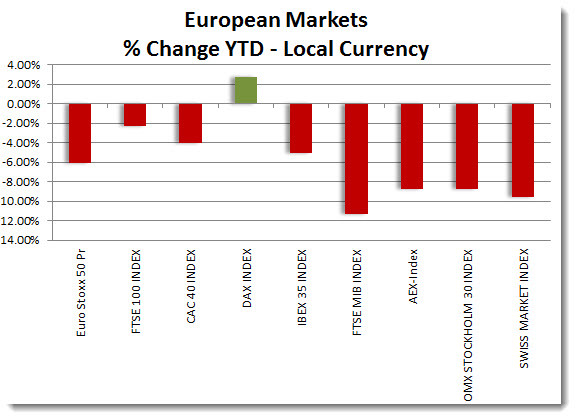 Look at the spread of returns on a year to date basis for the major EuroZone markets. Then consider the real returns in their native currencies. Quite a difference.